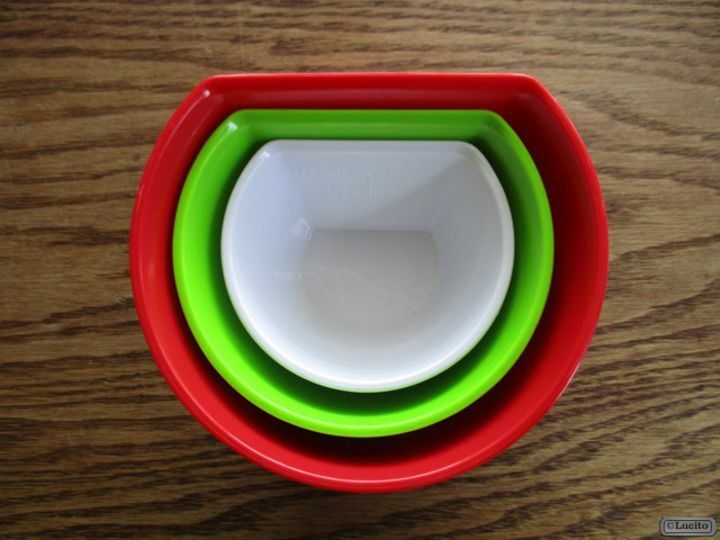 The broad, flat side of these bowls makes collecting ingredients directly from a cutting board a snap. 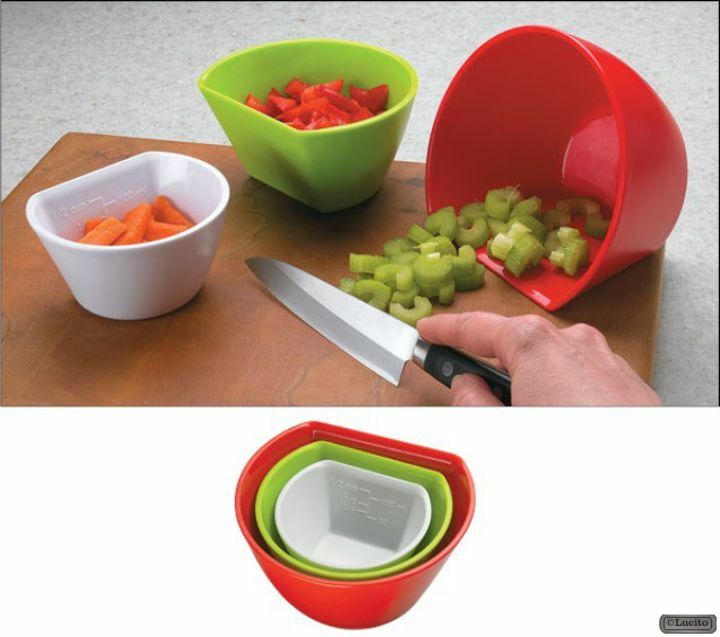 The bevelled edge rests flush on the cutting board to ensure ingredients go into the bowl, not under the lip, and you can use one of the corners as a pouring spout. Comes as a set of three nesting bowls (1/2 cup, 1 cup and 2 cups) with Imperial and metric graduations marked on the inside. Made of hard ABS plastic, they are BPA free and dishwasher safe in the top rack. Not microwaveable. 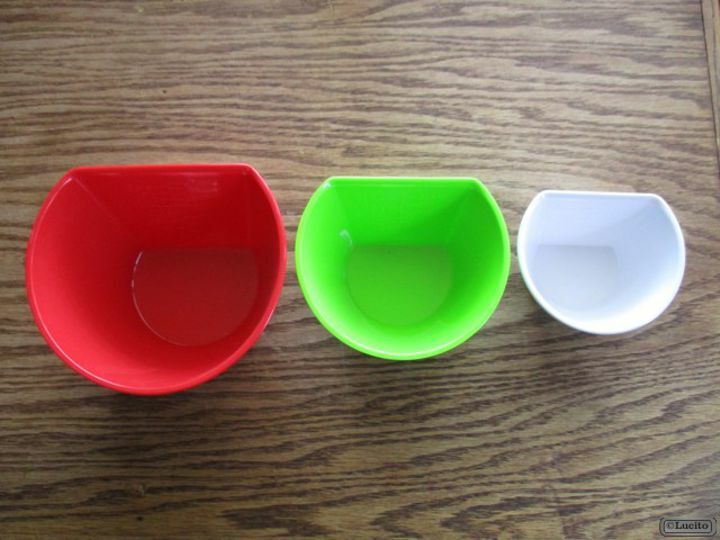 A practical improvement over regular prep bowls.